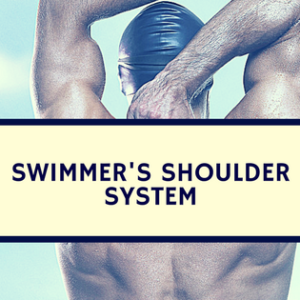 Blog Why Do Young Swimmers Burnout? 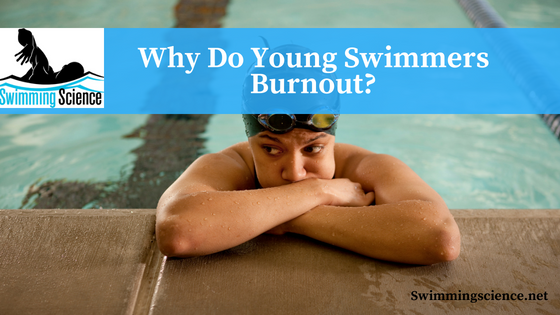 Why Do Young Swimmers Burnout? Swimming thrives on a “survivalist” culture. Those who survive to senior age group, college, or professional swimming have emerged via survival-of-the-fittest. 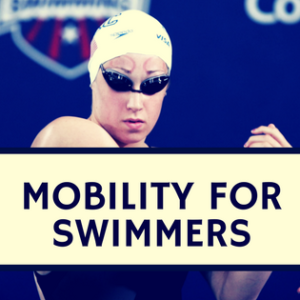 But many swimmers voluntarily drop out years before they’re cut from a higher level. I don’t have any statistics comparing swim dropout rates to other sports, but there’s no doubt that early dropouts can be problematic for all levels. Unfortunately, many promising young swimmers leave the sport on negative terms and have been soured by their experience. Dropouts usually are not seen as a failure of the system, but rather as validation to coaches that the swimmer dropping out lacked the mental fortitude to continue in the sport. There’s undoubtedly some merit in that conclusion as not everyone is meant for the elite levels. But it would be delusional to think the swimming institution is not at least partially responsible for driving away young talent. Not every swimmer who is purged from the ranks “deserves” that fate. Many dropouts cite negative coaching experiences, injury, or overbearing parents for their early retirement. Since youth sports participation often depends on friends staying together, one or two within a clique leaving a team can send a bigger group clamoring for the exit. If there’s ever a time to protect the sport’s tight standards it’s the current era in which society makes discipline optional for kids. But surely there’s a balance to be struck between overbearing and permissive. One way to improve retention is to understand WHY swimmers give up the sport. We all have our own experiences upon which to draw, but what does the formal literature have to say? Salguero (2003) studied sixty-two swimming “dropouts” and surveyed their reasons for quitting. “Having other things to do” was the most important reason for attrition. Lack of fun, the perception of failure or low skill were also associated with dropping out. Females placed greater emphasis than males on excessive pressure, hard training, dislike of competition, not winning enough and not feeling important enough. Perceived ability stands out among the retention and dropout factors. The actual achievement did not predict retention/dropout but instead, self-perception was a driving force. Another Salguero study (2004) found strong correlations between perceived competence and health/fitness, fun/friendship, competition/skills, affiliation, and status. This is one area in which coaches and parents can be instrumental. 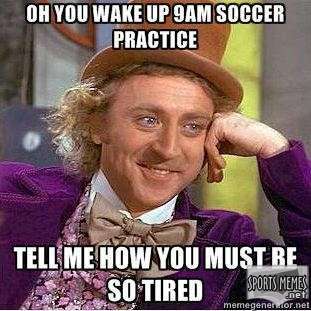 Obviously, not everyone deserves a gold medal just to show up at practice. And kids are astute enough to deduce their own standing in the pecking order and have a general idea of their ability. Coatsworth (2009) studied a summer swim program with over one hundred kids. Findings suggest that the quality of the coaching climate is an important predictor of the developmental benefits of sports participation. One pathway by which the coaching climate has its effect on initiative and identity reflection is through developing youth self-perceptions. Unlike many football players or basketball players who won’t retire “until they rip the uniform off my back”, a more common refrain in swimming is swimmers never wanting to see a pool again. It’s not an easy problem to solve. And if you have the answer, I’m sure USA Swimming would pay handsomely for it. 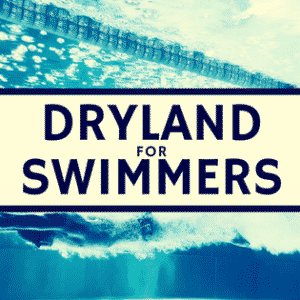 This simplest approach is to admit we can all do a little better, which starts with an honest look at why many swimmers leave the sport long before reaching their potential. Coatsworth JD, Conroy DE. The effects of autonomy-supportive coaching, need satisfaction, and self-perceptions on initiative and identity in youth swimmers. Dev Psychol. 2009 Mar;45(2):320-8. doi: 10.1037/a0014027. Salguero A, Gonzalez-Boto R, Tuero C, Marquez S. Relationship between perceived physical ability and sport participation motives in young competitive swimmers. J Sports Med Phys Fitness. 2004 Sep;44(3):294-9. Salguero A, Gonzalez-Boto R, Tuero C, Márquez S. Identification of dropout reasons in young competitive swimmers. J Sports Med Phys Fitness. 2003 Dec;43(4):530-4.